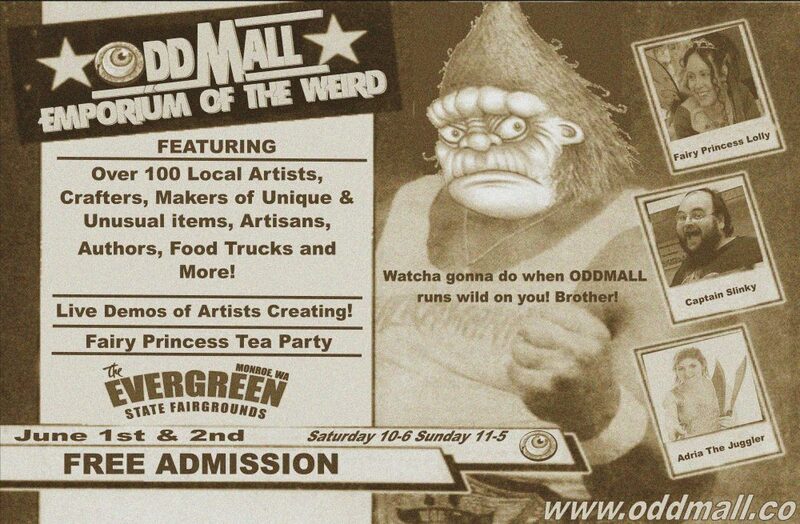 Oddmall: Emporium of the Weird returns to the Holiday Inn downtown Everett Washington. Plenty of FREE parking all around the hotel. The businesses around the hotel are closed and you can park in any lot around. The Holiday Inn also has a hidden parking garage under the North end of the building. Oddmall features over 120 unique artists, crafters, authors, and entertainers. Fairy Hollow kids area, Character visits, Cosplay and more!